All over the galaxy people have been paying tribute to their new favorite show with fan art inspired by Rick and Morty. There's a ton of it that makes the multiverse an even stranger, more beautiful place. 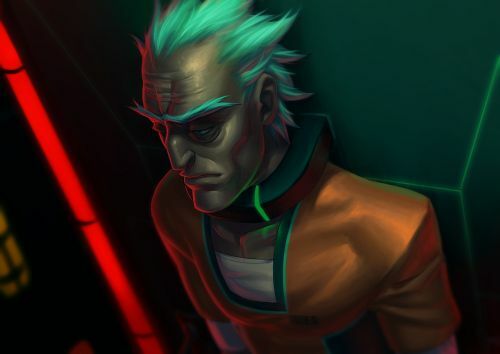 That's why this list collects the schwiftiest Rick and Morty fan art for you to enjoy! Don't worry, there are no curses attached. Some of the Rick and Morty artwork here consists of awesome renditions of scenes and settings through the lens of the artist's personal style. Others are insane interpretations of the characters or depictions of Rick, Morty, Summer, and the family on adventures that haven't even happened on the Adult Swim series. They are all totally awesome and need to be scoped out by you! So plop down on the couch and try to ignore Jerry.Vote up the Rick & Morty fan artwork that makes you want to shout "Wubba lubba dub dub!"